Experience unparalleled service and outstanding culinary creations. We offer a beautifully appointed quaint, yet spacious, 18th century fieldstone farmhouse with 21st century amenities. Our private and unique location is ideal for breathtaking wedding ceremonies and receptions. Our rooms offer the perfect setting for rehearsals, retirement parties, anniversaries, showers, or any event that deserves distinct celebration. Our planners will ensure attention to every detail of your special occasion. We offer two unique and versatile meeting spaces that can accommodate a group of up to 240 people. Each room is equipped with wireless internet access and drop down screens for your visual presentation. Let our Event Planning Specialists guide you through coordinating your special day. Experience unparalleled service and outstanding culinary creations for your event or wedding in this charming 18th Century fieldstone farmhouse, nestled in the heart of Montgomery County. You and your guests can sip a signature cocktail on the veranda while taking in breathtaking views of the pristine gardens and rolling greens of Commonwealth National Golf Club. Our Event Planning Specialists help guide you seamlessly through coordinating your special day so you can enjoy every step along the way…from date selection to your final wedding toast goodnight. Our culinary staff will cater to your every whims as well as accommodate any dietary restrictions. 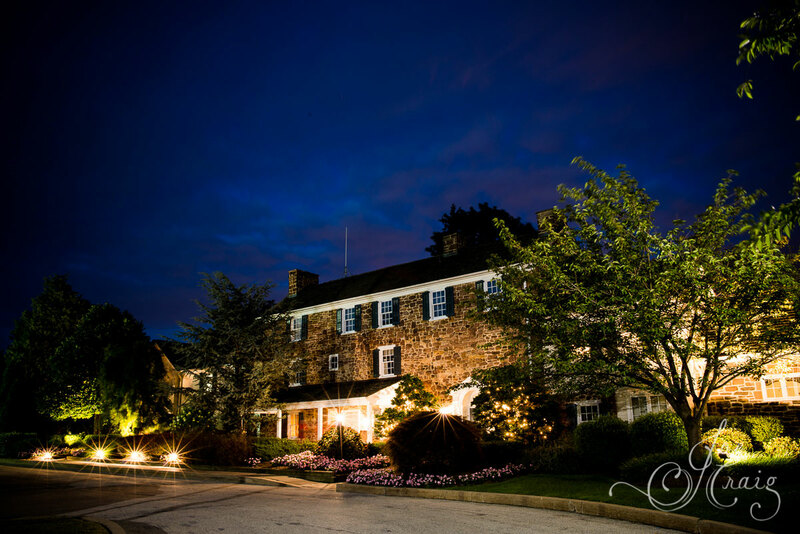 The Manor House at Commonwealth is a stunning wedding venue conveniently located in Horsham, PA; The Manor House is a short drive from Bucks County or Center City Philadelphia with many hotel accommodations nearby. EXCELLENT!!!!! I cannot thank the staff at the Manor House at Commonwealth enough for providing me nothing less than spectacular service from my very first visit last June, to my perfect wedding day! ABSOLUTELY PERFECT We recently had our wedding at the Manor House and we couldn't have had a more perfect day. We knew right away after visiting the venue that the character of the original house was exactly what we were looking for. I could not have been happier in the choice we made of having our wedding reception at The Manor House at Commonwealth.